The FAA on June 27 published a final rule that will allow broader use of technology to reduce the cost of flight training and maintaining proficiency without compromising safety. For years, AOPA has sought and supported these regulatory changes that are expected to save the general aviation community more than $110 million in the next five years. AOPA has made it a priority to ease the financial burden on students and certificated pilots, and many of the changes made by the FAA that are incorporated in the final version were requested by AOPA and other aviation groups. The FAA’s final rule includes many changes, particularly to Part 61, which were originally published in a notice of proposed rulemaking (NPRM) in 2016. The Part 61 overhaul will take effect July 27, with all changes implemented by Dec. 24, and will reduce costs to pilots in large part by leveraging advances in avionics, aircraft equipment, flight simulators, and aviation training devices. The new regulations recognize the effectiveness of modern technology and ease past restrictions on its use to further reduce the cost of flight training, as well as proficiency maintenance. They are also crafted to give the FAA more flexibility to approve the use of advanced technologies still to come. The FAA estimates that pilots and operators will save up to $113.5 million over five years (in 2016 dollars), with the most significant savings to come from allowing instrument-rated pilots, who use advanced aviation training devices (ATDs) to satisfy flight experience requirements, to enjoy six months of currency rather than two. That part of the Part 61 overhaul takes effect Nov. 26. The extended currency interval will also allow instrument-rated pilots to use any combination of aircraft and ATD to accomplish the flight experience required for currency. The FAA estimates (in 2016 dollars) that these changes to FAR 61.57(c) alone will save pilots $76.1 million over five years. Allowing sport pilots to credit their flight experience toward higher certificates and ratings will increase the value of sport pilot training and save pilots an estimated $14 million over five years. 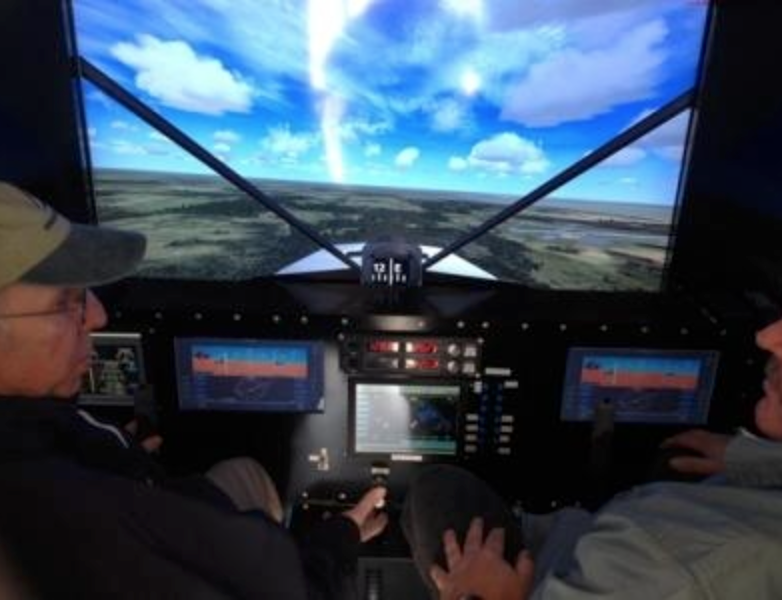 Eliminating the requirement for an instructor to be present while instrument-rated pilots use flight simulators and ATDs to satisfy currency requirements is estimated to save the instrument pilot population another $12.5 million over five years. In April, the FAA discontinued the requirement that commercial pilot and flight instructor candidates conduct their single-engine airplane practical test in a complex airplane, and the final rule published June 27 takes that a step further. As of Aug. 27, commercial pilot candidates can use “technically advanced airplanes” in lieu of, or in combination with, a complex or turbine-powered airplane to satisfy the 10 hours of required training in these airplanes. This is estimated to save trainees $2.8 million over five years. “Making aviation less costly is fundamental to AOPA’s mission, which is why we pursued these changes that will save the general aviation community more than $100 million over the next five years alone and help to make pursuing and advancing a pilot’s certificate more accessible to everyone,” said AOPA President Mark Baker. The FAA, responding to industry comments on the NPRM, also adjusted the definition of “technically advanced airplane” to be broader and more general, adding language to Section 61.129(j) to allow the FAA to authorize use of aircraft that may not meet the requirements as presently written. “This additional language is intended to provide flexibility by allowing the FAA to accommodate future technologies that do not necessarily meet the confines of the regulatory requirements for a TAA in § 61.129(j),” the FAA wrote in the final rule. Another of the many changes detailed in the lengthy final rule will allow sport pilot instructors with a required endorsement to provide training on control and maneuvering solely be reference to instruments. While the FAA estimates “minimal” cost savings to students, the change will nonetheless increase the value of the sport pilot instructor’s certificate, and benefit flight schools that offer sport pilot training, as well as instructors and students. AOPA Director of Regulatory Affairs Justin Barkowski led the association’s effort to analyze and respond to the NPRM that preceded the final rule. Among the points successfully pushed, pilots will be allowed to use a combination of complex, turbine-powered, and technically advanced airplanes to satisfy the 10-hour commercial pilot training requirement, instead of having to choose one of the three. Sport pilot instructors will be allowed to receive the required flight training hours in an ATD in order to obtain the endorsement required to teach instrument skills. Barkowski said he expects the final rule to prompt discussion of what, exactly, a technically advanced aircraft is, and noted that the FAA drafted the final rule to accommodate advances in technology. AOPA also asked the FAA to allow pilots to obtain a temporary document online to confirm medical certification. The FAA determined this particular change is outside the scope of the rulemaking, though the agency noted that a system is being created (the Aerospace Medicine Safety Information System) and scheduled for implementation in 2020 to accomplish this goal.